Located in Beltrami Island State Forest, the Bemis Hill Trails offer more than 96 miles of riding. 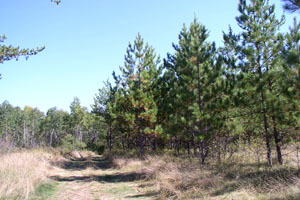 The trails travel along pine-covered ridges, large areas of low flatland and near peat bogs. Trails are provided by Roseau County and maintained by the Roseau/LOW Sportsman's Club. From Warroad, take Co. Rd. 5 south for 11.5 miles to the Clear River Day-use Area. New route signage is up.